Enter Hot or Not. This app is simple in principle, you just rate photos. Are they Hot or Not? This app is great, it is completely customisable, so it can be set to your exact preferences. 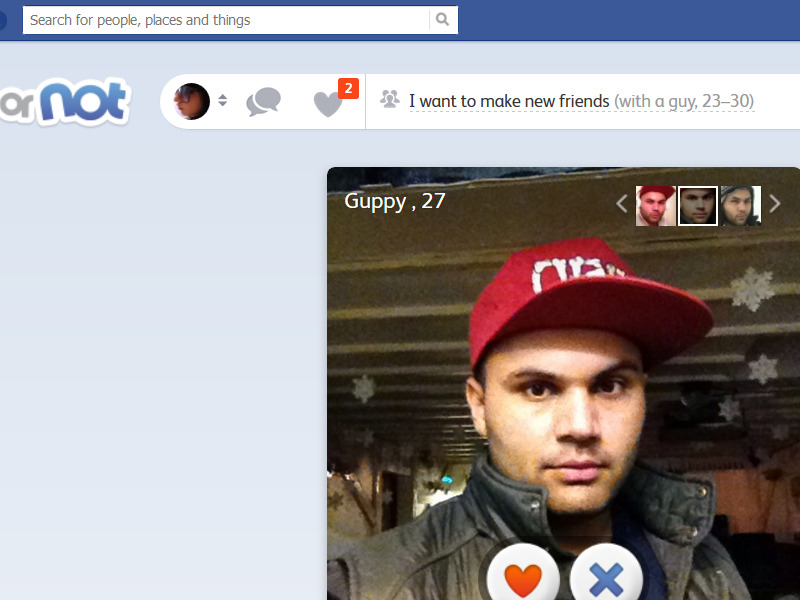 You have the option to either “make new friends”, “chat” or “date” depending on exactly what you want. I chose to “make new friends” and then could choose what age range and gender/s I was looking for. There is also an option to completely set up your account and profile. This of course is fun itself trying to find an array of decent looking selfies. You can also link your profile directly to your facebook profile which is a really handy feature. I was also able to set my location so that only people in my immediate area came up. Furthermore I can set up a list of my interest, the Hot Or Not app then is able to suggest profiles that have matching and similar interests to my own. Once my profile and preferences were set up I was free to start rating. I really enjoyed looking through the array of photos each person had to offer. They say a picture can speak a thousand words and they are right indeed. I really could get a sense of each personality from the photos. Each person has a selection of different photos you can look through and underneath they have an average score. There is something really compelling about adding to that score (and being scored yourself too!) You can also see how many people in your facebook friends list have also rated each person. 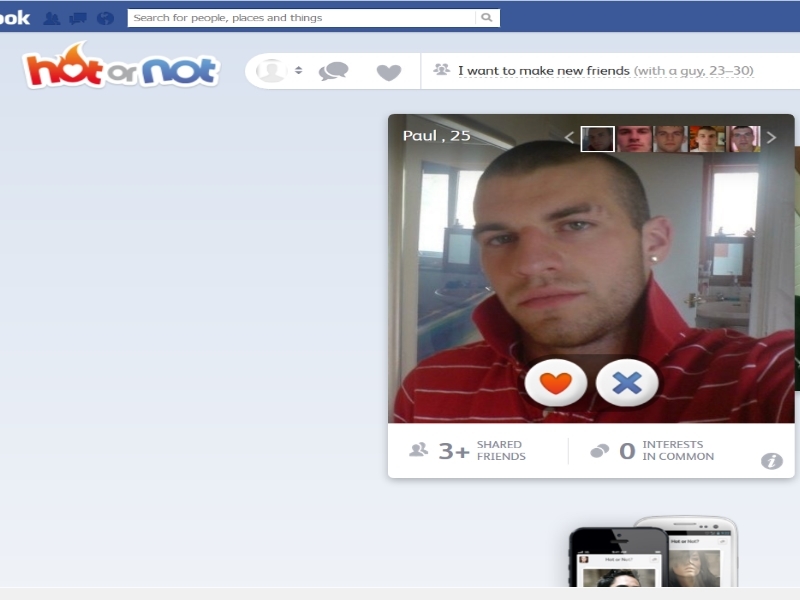 Paul, 25 was my first photo to rate. Would you have rated him Hot or Not? Oh my gosh, two people thought I was hot in a matter of minuets of joining! The interface of the app is easy to use. I started off using this app on my PC through facebook (you can find it if you go here https://www.facebook.com/TryHotOrNot or just type Hot Or Not into the search bar) and then I migrated across to using this on my android phone (you can also get this app for apple devices too though!). It is easy to just swipe through the pictures on a hand-held device and I really like that it isn't confusing.